(Newser) – Animal-rights activists celebrated a victory yesterday after SeaWorld announced an 84% drop in profits in the wake of continued controversy over its treatment of captive orcas. 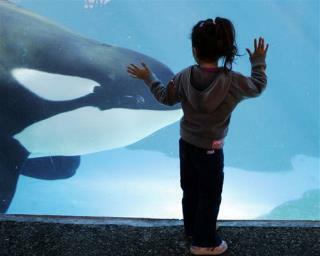 The Guardian reports SeaWorld's second-quarter income plummeted from $37.4 million to $5.8 million year-over-year. The company, which operates 11 theme and water parks, cites bad weather in Texas, the poor timing of Easter, and "continued brand challenges" for its poor performance, according to the Orlando Sentinel. That last item refers to the public response to the 2013 documentary Blackfish, which put a spotlight on SeaWorld's treatment of its killer whales and resulted in a drop in attendance and torpedoed the company's CEO. PETA the group that has hurt more animals than any other.